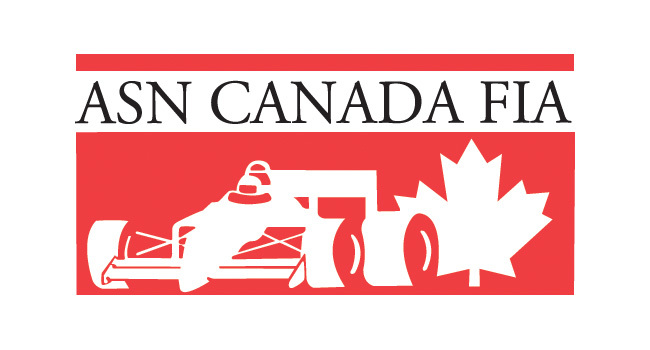 FWT1: Canadians Sweep Briggs 206 Action; Clark, Arseneau and Hornbostel on Podium in ROK – CKN | CanadianKartingNews.com | Because Karting is a way of Life! The 2019 season is officially underway following two weekends of intense racing in South Florida. Following last weekend’ SKUSA Winter Series, the Florida Winter Tour kicked off their campaign in the tailgate lot of the Hard Rock Stadium in Miami, Florida. Setting up a layout similar to Italy’s South Garda Karting, drivers from across North America were challenged with a constantly changing racing surface…and just as the track really started to clean up following Saturday’s heat races, Mother Nature delivered an intense rainstorm on Sunday morning. 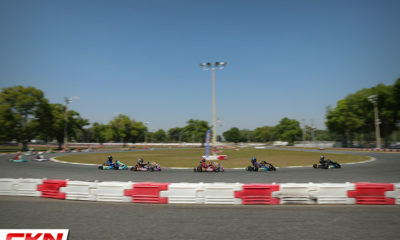 The storm caused a significant delay to the schedule, ultimately forcing Rok Cup USA officials to cancel the PreFinal races as karts didn’t hit the circuit until just before noon. As the parking lot dried out, the track returned to form and it created even more excitement for the Finals when the sun came back out. All in all, each race was completed on slick tires and drivers needed to be near perfect given the conditions. 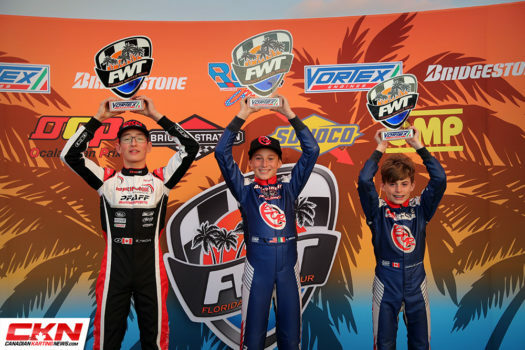 New for 2019 to the Florida Winter Tour is some Briggs & Stratton 206 racing and our Canadian drivers dominated. 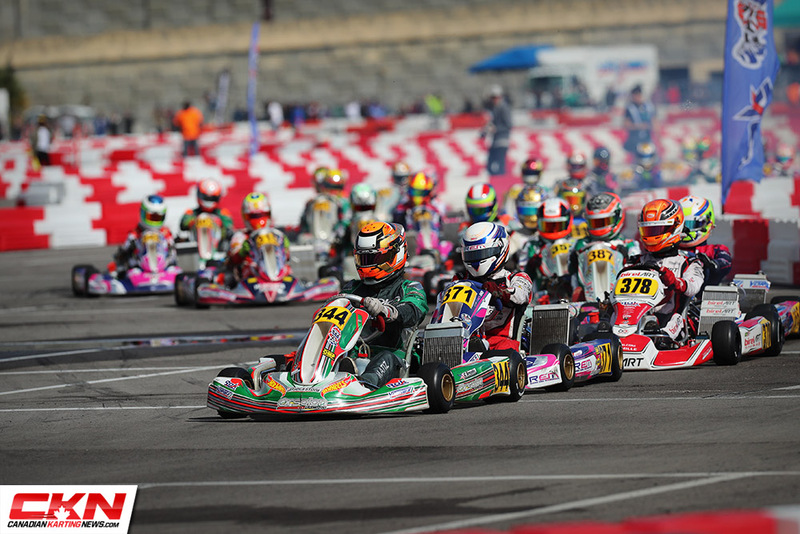 In Junior, newly formed 360 Motorsport swept all three steps of the podium as Gianluca Savaglio scored the race ahead of Nicky Paladino and Carsyn Massey. In Senior, Darryl Timmers led until the final lap when he struggled with some engine issues, allowing the chasing pack to catch and pass him. Erupting with the win was Jordan Prior while Mikael Aubin was third, with American Zachary Linsell slotted between the two. The new for 2019 pushback bumper rule came into play in Junior and Senior Rok, helping a couple Canada to get on the podium and knocking another off. 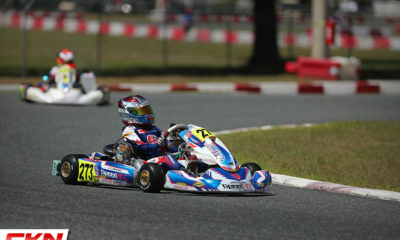 As Christian Brooks was in cruise control in Senior Rok all weekend, the race became for second place. PSL Karting’s new recruit, Brazillian Arthur Leist, drove well to take second while Zachary Claman DeMelo recovered from ninth on the grid to finish third. However, DeMelo entered the scale area with his nosecone pushed back and as he tried to push it back out, a big no-no, he was caught and excluded for tampering. 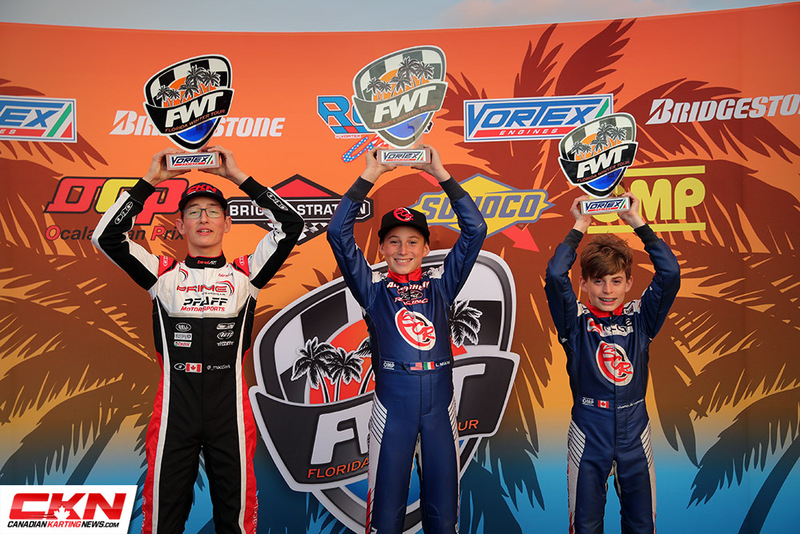 This moved Nicholas Hornbostel onto the third step of the podium to cap off a solid weekend for the Racing Edge Motorsports driver, who overtook Sebastian Montoya on the final lap. In Junior Rok, Brent Crews overtook two drivers in turn four and then used his chrome horn to move Luca Mars from the lead in corner five on the Final lap take the win on the track, but his bumper was pushed back in the process, moving him back to sixth in the final rankings. Mars regained the lead and win that was his all race long, while Mackenzie Clark wound up second after a flurry of penalties in the steward’s office. First, Diego Contecha was excluded for pushing his bumper back out in the scale line, and the Lucas Staico was penalized for contact with Clark with two laps to go and with all the dust settled, Clark was second and Justin Arseneau was third! 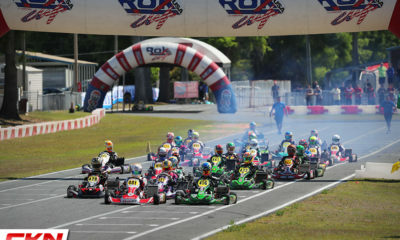 The Shifter Rok Final was controlled by a pair of drivers aboard the Mad Croc chassis. Florida standout AJ Myers scored the win after overtaking his teammate, Andrew Bujdoso just past halfway. As Bujdoso had to hold off a late race charge from Daniel Formal, who struggled early on in the race, Myers was able to break away en route to the win. 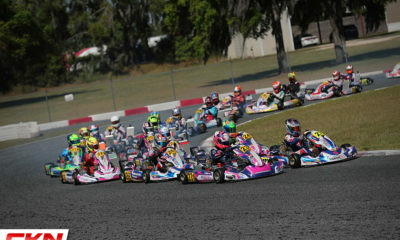 Five different chassis filled the top-five spots in the Mini Rok final. 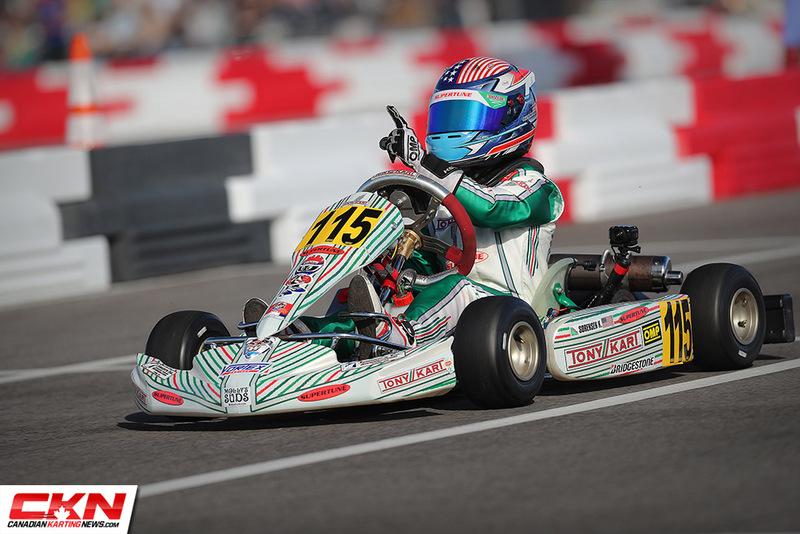 Kai Sorenson was nearly unstoppable all week on his TonyKart, taking the win by 6.7 seconds. Second went to Jack Jeffers on a BENIK, who recovered all weekend long from last on the grid after qualifying. 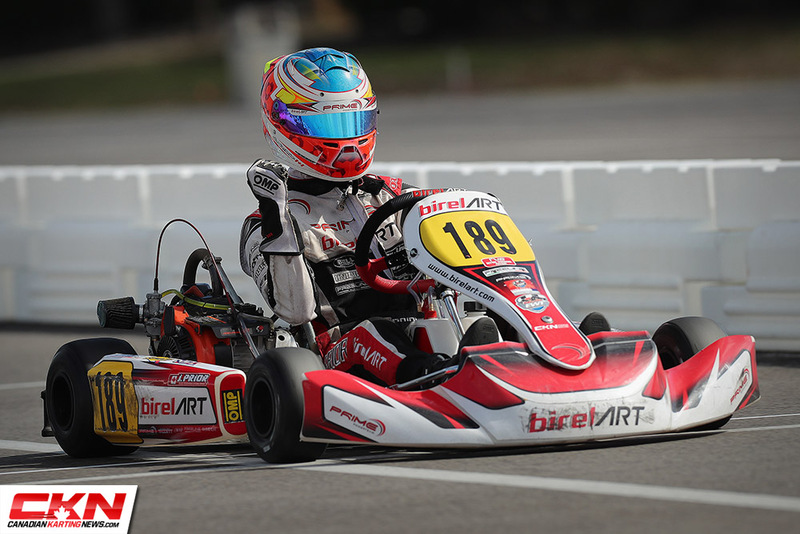 Third place was Nikita Johnson aboard his Energy Kart, while Miguel Costa (Parolin) and Caleb Gafrarar (BirelART) completed the top-five. 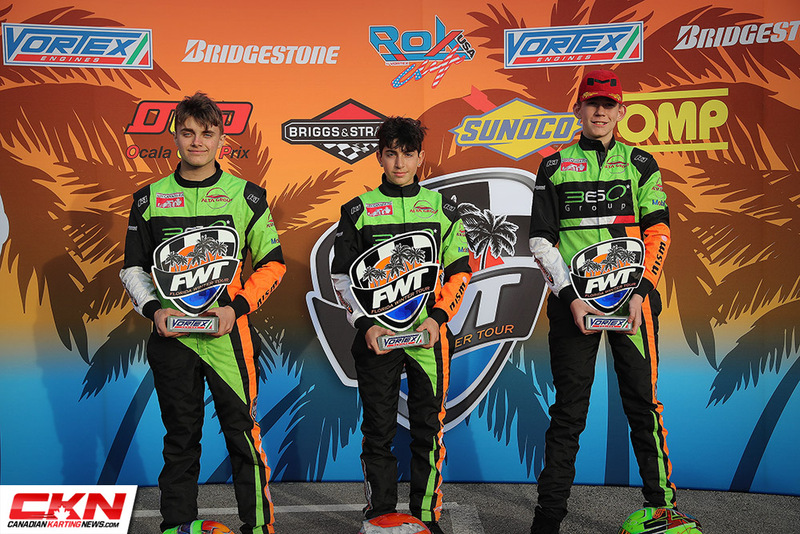 The remaining winners at Hard Rock Stadium were Renato Davide (Masters Rok), Jacir Beckham (Micro Rok), Chloe Chambers (100cc Junior) and Victor Jiminez (Rok Shifter Masters). Round two returns to the party lot at Hard Rock Stadium in a months time where Rok Cup USA will utilize a new track layout that should be announced in the coming days.